Hope all of you enjoyed the swing from 22nd September [+/-1 day] as had been told. 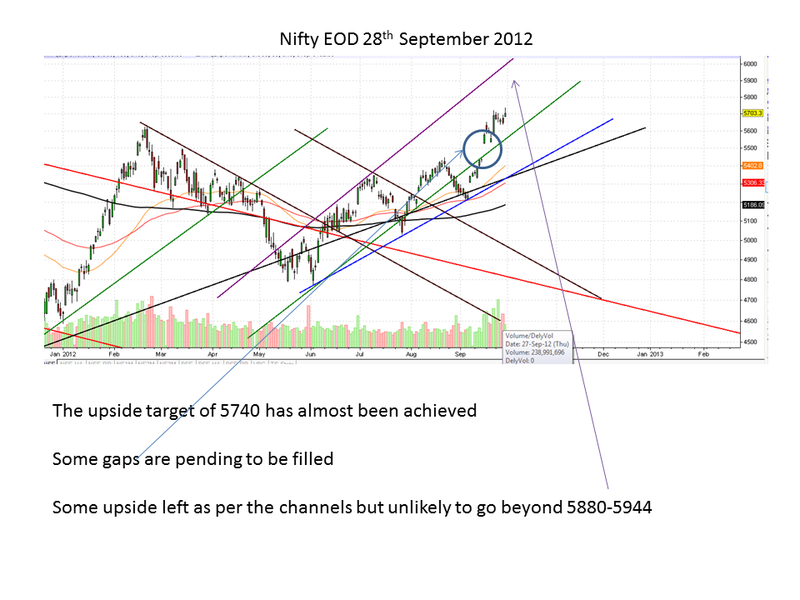 Now Nifty has struggled twice in the 5720 region [a few points away from the logical target as had been forecasted earlier] Interestingly the volumes have spiked up well in the September rally which go well beyond the short-covering rally. Fundamentally, the Rollar has corrected in favor of markets. On downside, for the shorter term, 2 consecutive closes below 5690 will probably help prices to plug the gaps created in Sep '12 and allow for one more bounce to the upside from the 5408-5532 range to the 5580-5655 range. 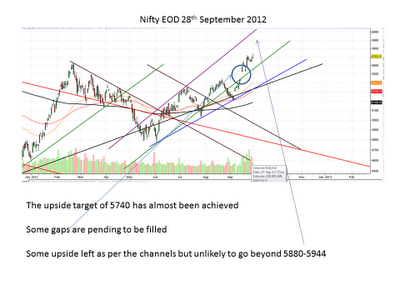 Have a profitable week and the following chart should help in figuring out the roadmap for the next series.